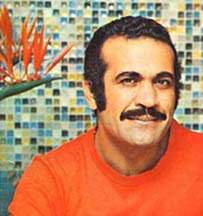 Fereydoun Farrokhzad was one of the greatest entertainers. These tracks include recordings from Farrokhzad's "Jomeh Baazaar" show which aired on Radio Iran in the 1970s. Tracks sent by Azam Nemati, Milad Esfandiary and Anoush Khazeni.